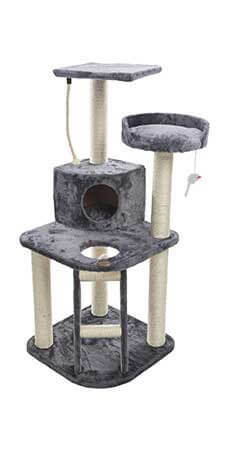 With proven experience and a wholesale supplier of quality cat trees and scratching posts to the pet industry, each item in the Cosmic Pets™ range has been individually customized and strengthened to ensure its long term durability. Our product offering is differentiated by our continuous strive for excellence while offering peace of mind to pet lovers that their feline can safely pounce, jump, scratch and nap on a secure structure. Don’t compromise, offer furry companions the best playground in town with the range of Cosmic Pets cat trees and activity centres. Cats instinctively seek out hideaways as part of their natural behaviour – the Venus Adventure is able to satisfy your cat’s clawing, climbing, perching and privacy needs. 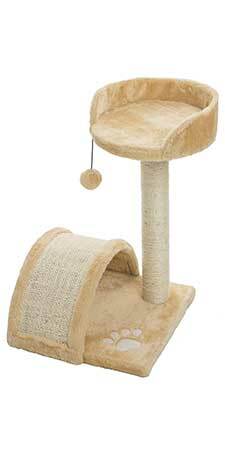 With ample scratching posts, ramp, cosy cradle and condo retreat, this tiered cat tree is both comforting and stimulating. 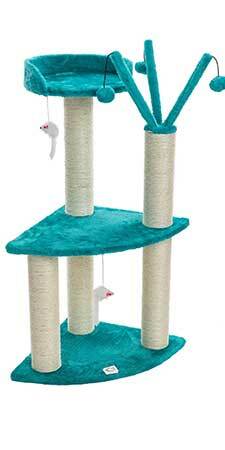 With so much to do and explore, the Stargazer is ideal for developing cats’ co-ordination and agility skills. The tree has a number of levels to pounce up and down from, with a comfy condo for relaxation. 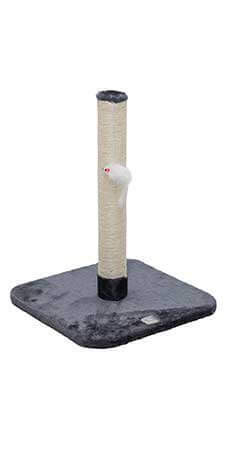 The large scratching post offers two elevated platforms for cats to safely observer their surroundings, providing hours of fun. 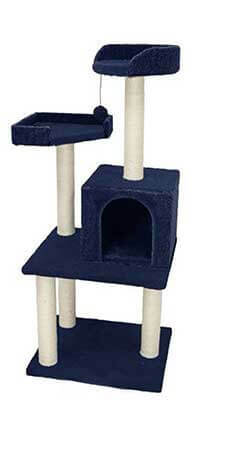 Why not spoil your furry companions with this exciting cat scratching post playground and save household furniture along the way. 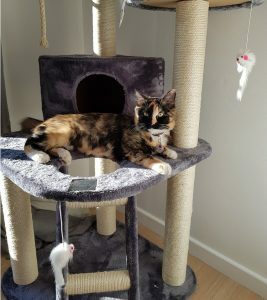 Cats instinctively seek out hideaways as part of their natural behaviour and the Kitty’s Comet cat tree is able to satisfy privacy as well as clawing, climbing and perching desires. 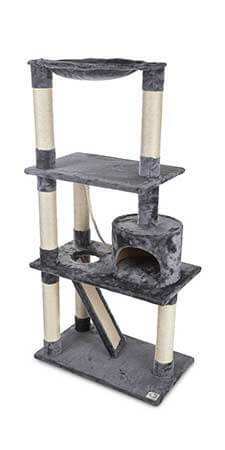 With ample scratching posts, ramp, cozy cradle and condo retreat, this tiered cat tree is both a comforting and stimulating adventure. 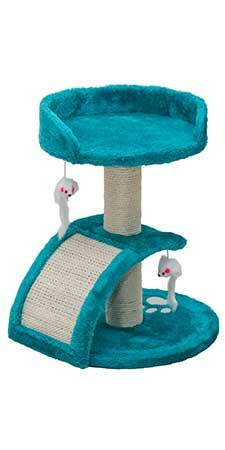 The Moon of Jupiter cat tree is designed for the active kitty, keeping them occupied all day long. The number of suspended pom-pom toys make for interesting ‘stalk-and-attack’ games, providing amusement for cats and owners alike. 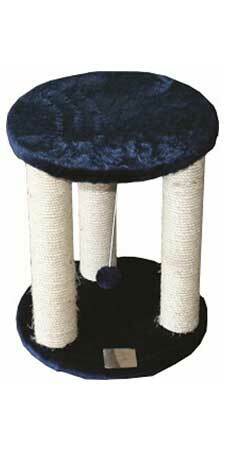 The durable scratching posts let kitty sharpen its claws without giving couches a feline makeover. Vertical perches, at different heights, inspires jumping and climbing and the cozy top perch with back rest, is great for napping or surveying surrounding territory. 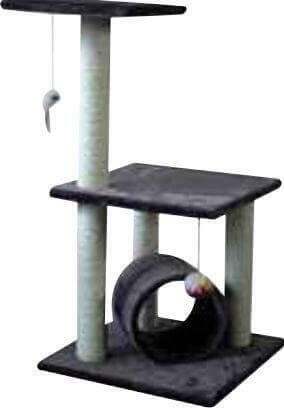 The Solar Flare cat scratching post gives cats their own enjoyable environment to keep them amused and content. Featuring a top patio, lower deck and roomy tunnel, the four posts will withstand the toughest claws and promote natural scratching behaviour. Dangling plush toys, situated on different levels will provide irresistible possibilities for entertainment. 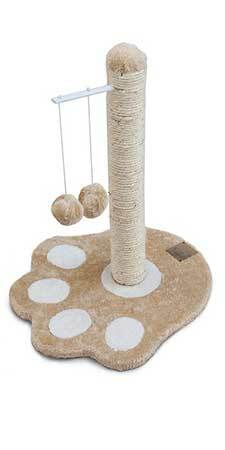 The Apollo cat scratching post is any cat’s dream, with so much to do and explore, assisting with developing co-ordination and agility skills. 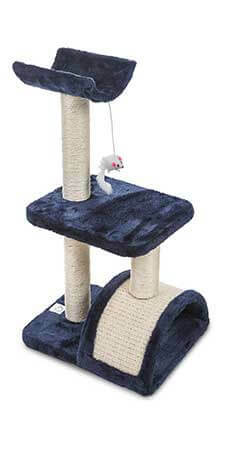 The scratching post, half tunnel,and various levels offer the opportunity to jump, or hanging toy to attack, will provide cats with hours of fun as well as amusement to their owners. Phoenix Rising provides feline companions immense enjoyment, as well as comfort. 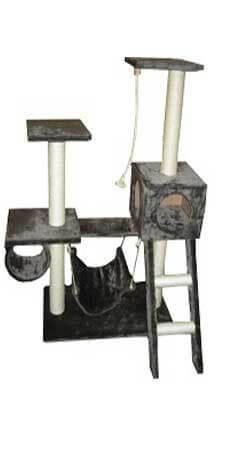 The plush covered unit has a suspended toy to add excitement and variety as cats will try to capture the dangling “prey”. An inviting cradle with back rest, is positioned on the top to relax or pounce down from. The semi-circular tunnel encourages maneuvers of all sorts of positions to scratch or hide under. The Saturn Voyager is ideal for any feline household with space restrictions and provides an area for for daily claw sharpening activities, as well as a dedicated area to play and relax. The comfortable perch makes for a cozy napping area. The paw shaped Mars Rover offers a dedicated location for kittens to practice their pouncing skills and sharpen their claws. The dangling pom-pom toys will unleash their playful nature and focus frisky behaviour. The Pluto is a compact scratching post for your cats claw sharpening needs. The half tunnel adds variety to play and it also includes a platform for napping or pouncing. An essential accessory for daily claw sharpening activities and a must for a cat friendly home with space restrictions.